A special thanks to our Partners and Sponsors who help us accomplish our mission of providing a no-kill environment for homeless pets as we help them find a forever home. For sponsorship information and packages please contact willcountyhumanefundraising@gmail.com. 1. 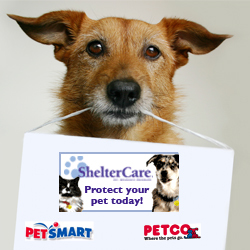 PetSmart – Most every month you’ll find us at a local PetSmart for adoption days. Check our calendar for upcoming adoption events.